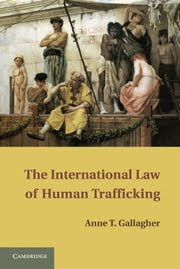 My thanks to IntLawGrrls for the opportunity to write about my book The International Law of Human Trafficking, published this month by Cambridge University Press. ► A critical analysis of the first decade of the annual U.S. State Department Trafficking in Persons Reports, to be published in Human Rights Review in early 2011. As I write in the introduction to my new book, The International Law of Human Trafficking is not a specialist treatise in the usual sense. More accurately, it represents an attempt to apply the science and tools of international law to a specific, contemporary issue. From this perspective it is as much about sources of international legal obligation, the formation of international law, the doctrines of responsibility, and theories of compliance, as it is about trafficking. The book’s focus is essentially a problem-solving one: the international community has identified trafficking as a problem, and has decided that law will be used to structure and enable at least part of the solution to that problem. By providing a clear and organized explanation of the law as it is, the capacity of those who are in a position to use international law to hold states and others to account is hopefully strengthened. that is, changes in laws, policies and practices that would have been unthinkable just a few short years ago. the merciless Moloch of capitalism that fattens on underpaid labour. The rules acknowledge the link between trafficking and the massive labor migration that greases the wheels of the global economy, without requiring States to provide individuals with safe and legal avenues through which to move. They affirm the principle of nondiscrimination, without insisting that the rules, attitudes and practices that render women, children and migrants most vulnerable to trafficking-related exploitation be immediately and comprehensively dismantled. 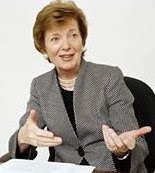 It is currently possible for a state to find itself within the letter, if not the spirit of its international legal obligations merely by criminalizing trafficking, diligently investigating cases that come to its attention, cooperating with other States when requested, and taking at least some measures to support and protect identified victims. While my book has hopefully succeeded in fleshing out these basic obligations, it acknowledges that the obligations do not, even in expanded form, amount to terribly much. Like a commitment to halt anthropogenic climate change by imposing emission reductions that have, in truth, no hope of meeting that goal, there is a fatal gap between what is legally required of states and what is actually needed to reach the stated objective. A genuine commitment to ending trafficking and related private exploitation requires us to both acknowledge and challenge the limitations of the contemporary international legal imagination.